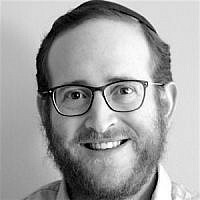 Rabbi Shaul Rappeport is the rabbi of the Lido Beach Synagogue, in Lido Beach, NY, a stunning beach suburb of New York just 45 minutes from Midtown Manhattan. He is also the Director of Rabbinic Services & Outreach for the Puah Institute, a global organization dedicated to helping people struggling with fertility difficulties in the Jewish community. He can be reached at rabbi@lidoshul.org.